A former prison was selected from a list of several city brownfields for the future realisation of the Creative Centre in order to examine its state and the possibilities of using it for this intention. 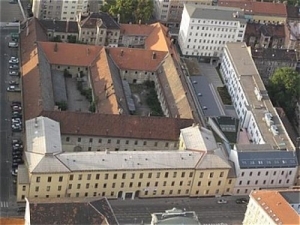 The former prison is located at Bratislavská 68, Brno. The property is a complex of interconnecting buildings within the streets of Soudní, Cejl and Bratislavská. The foundations of the complex were laid on the 20th of June 1770 and construction was finished 8 years later. Until 1786, there was an orphanage in the building. 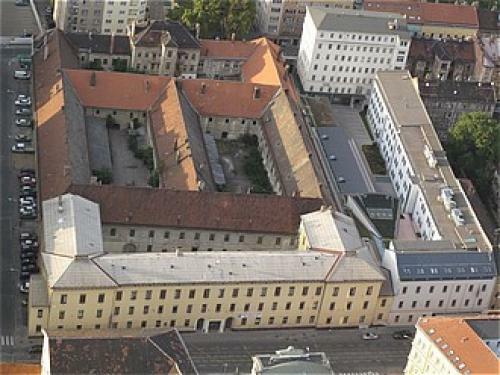 After which the building served its original purpose as a prison until 1955 when a prison was built in Brno-Bohunice. In the 1990s, the building served many various purposes - The Moravian Archive, the Czech Police and so on. The whole complex is closed at the moment. The complex has 3 internal courts. By far the newest building is in the courtyard on Bratislavská Street, which has a partial basement and 3 above-ground floors. The other buildings of the original prison have 2 floors and a roofed attic area. The buildings are connected by a number of corridors and special walkways. The prison measures almost 8000 m2. 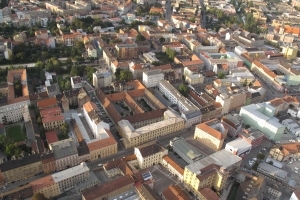 The prison is owned by the City of Brno. We will be working on the research of the prison from January 2013 to June 2014. As a first thing we performed the construction engineering research of the building. The research was carried out by HESS-projekty and realizace staveb, spol. s r.o. In summer 2013, a study of internal environment factors was done, the current state assessed and the overall building evaluation finished. On the basis of the results the estimation of the cost for renovating the building was determined. We established pre-processing documentation, which has two main parts - the spatial study and economic section, based on the structural and technical findings. Overall conclusions will be available in summer 2014. Why did we choose the prison as the location for the up-coming Creative Centre? It is a large property close to the centre of the city. Convenient pedestrian access and connection to public transport.